After an extended period of hibernation, we're back with two of our favourite groups. We're lucky to have all of these performers on our doorstep, and tonight, we have a double-bill of both bands. JazzFace have their own take on the standards, and are anything but. SNC play the work of the great Thelonious Monk. Need we say more? Featuring: Craig Stallwood (Piano), Paul Jolly (Sax), Pete Myatt (Bass), Steve Seal (Drums) and Richard Wilsher (Piano). The Nighthawks are a groove based trio from the Midlands, featuring Cliff Brown on guitar and vocals, Matt Ratcliffe on Hammond organ and Geno Washington's drummer Geoff Hemsley (in the absence of regular Nighthawk Ian Beeston). Their influences are wide ranging - from the cool jazz of Miles Davis, the acid-rock of Jimi Hendrix, the swinging blues of BB King and the funky grooves of the Meters. Their live performances are full of spontaneity and musical rule-breaking, which challenge the audience in the best possible way before bringing them safely back to earth! Lights low. Records playing. FREE entry. We welcome back promoter DARK PARTY for our Thursday bar night. Ginger John is in charge of keeping your ears happy. Born in Luton, saxophonist Rob Mach has been heavily involved in the jazz scene for the past 10 years. Joined by Nigel Price on guitar, who spent three years with UK funk legends The James Taylor Quartet and is a regular in the Ronnie Scott’s house band. The band are set to play a whole variety of material from straight-ahead to infectious Jazz Funk grooves, giving a nod to the likes of classic artists such as The Jazz Crusaders, Stanley Clarke, Stevie Wonder, Grover Washington Jnr and Stanley Turrentine, amongst many others. In true Bear Club style, expect some great music and a lively start to your weekend with this powerhouse line up. Rob Mach (Sax), Nigel Price (Guitar), Phillip Achille (Bass/Harmonica), Eric Young (Drums) and Craig Stallwood (Keys). Led by Antonio Feula on guitar, February might be your last chance to catch him as he moves to NYC at the end of the month, prompting both this gig and the return of his gypsy jazz group Swingatto at the end of this month. Tim Penn is the dynamic pianist with The Cadillac Kings, who proved a massive hit at The Bear Club, playing twice to sold out audiences. London based hard-bop pianist Leon Greening presents his trio with Adam King (double bass) and Steve Brown (drums). Regular performers at Ronnie Scott's, tonight they'll be playing tunes by some of his biggest influences, including Bud Powell, Bobby Timmons, Wynton Kelly, Victor Feldman and Dudley Moore, plus some originals. Possibly your last chance to see this incredibly fun 20s/30s Gypsy Jazz trio, as regular Bear performer Antonio Feula moves to NYC as day the day after. Luton-born singer David Mills set off to Chicago five years ago, where he connected with renowned US jazz pianist Beckie Menzie. He has since established himself as a popular singer on the Chicago cabaret scene. 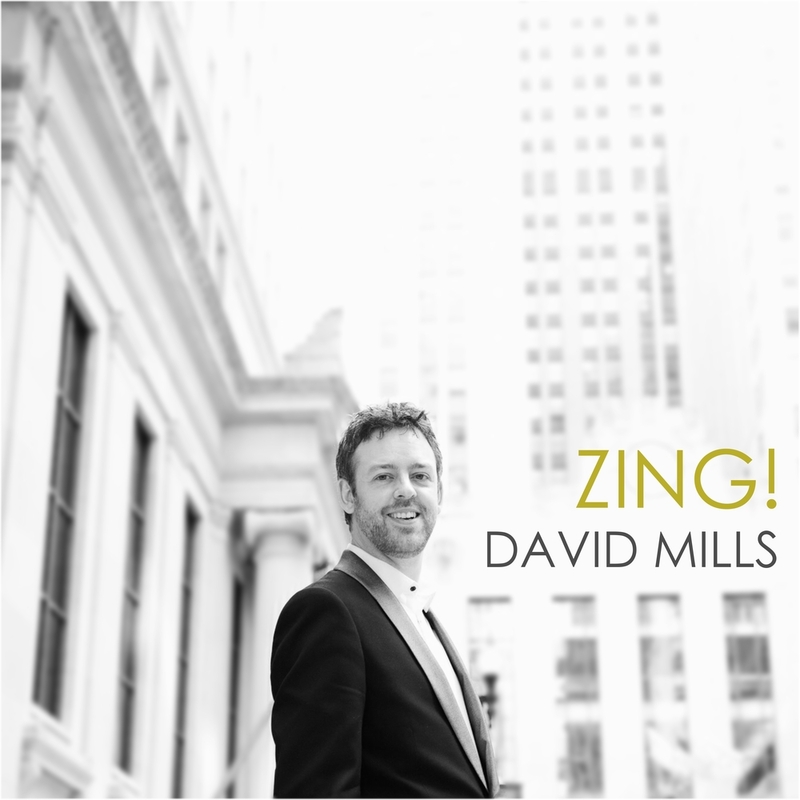 This will be an intimate, cabaret-style evening of entertainment featuring songs from David's latest American Songbook album ZING!, interspersed with a selection of musical theatre numbers. Accompanying him on piano is Nick Ridout, who has previously worked with Claire Martin, Tina May, Jim Mullen, Mornington Lockett and other leading jazz musicians.